Question is, What’s in store for us next year? 2017 will bring new start and so much changes. The pioneering spirit makes way for new inventions, new discoveries, new creations, new everything. It’s energy will definitely provides originality, new ideas. New leaders (committees, chairpersons, etc. ), new ideas, or new additions to things done for the surrounding area. Its wide implications could include cities, towns, counties, etc. Add the two digits calculated together to get 7. What is the value of 2017? Add your number ie 7 to the value of 2017 ie 1 to get 8 which give you your Personal Year for 2017. Your personal year for 2017 is conditioning you to assert your will. 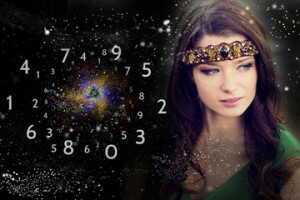 Number 1 symbolizes the beginning of a new numerological 9-year cycle. It’s time for new achievements. Listen to your thoughts and desires and decide what you want to accomplish in the nearest nine years. Your 2017 personal year number shows that the main features of this year will be diplomacy, cooperation and patience. You expect a serious partnership, so be ready to make important decisions and act together, because other people can have strong influence on your business and plans. Your 2017 personal numeric vibration will condition you into self-expression and self-enhancement. It’s time to take advantage of your abilities in oral culture. Writing the book, lecturing, singing, playing on stage will help you to express yourself. Prove to everyone that you are a self-confident person that you know how to take advantage of the opportunity to demonstrate your abilities and you are not afraid to do this. Your 2017 personal year numerology suggest that hard work is the main characteristic of this period. Please, be patient, neat and practical. Stop being lazy and try to move your personal pleasure aside. Only hard work and good organizational skills will help you to achieve these goals and high results. You need to conduct properly your own affairs. Your 2017 personal year numerology brings a focus on changes. It’s time for new friends, travel, new ideas and possibly a change of place of work. It is possible that you will want to change the previous place of residence, you will want to buy a new house or to move to another city or country. It’s time for changes, they will open up new opportunities for you to grow and develop. It’s time to abandon everything old and unnecessary and start a new life. Your 2017 personal vibration is quite favorable for marriage, birth of children, the creation of a new family or a reunion of old. Vibrations of this year are closely connected with household chores. You may want to buy or build a new house. Decorate the place where you live, create coziness, but don’t forget about the world. Remember, love and sympathy are guaranteed to you only if you give them to others. Your 2017 personal year is a conditioning force for knowledge and wisdom. This is time when you should rest and take care of your health and deepen your knowledge. This year is also favorable for adequate estimation of your strengths and opportunities and for continuing further self-improvement. Your 2017 personal year’s numerology shows that the vibrations of this year have a big influence on your achievements. If you have planned and prepared everything in advance, if you worked the whole previous period to achieve these goals, this year should be for you very promising. Now your ambition, wise judgment and good business qualities are of greater ever value. Keep moving in the right direction and success does not make you wait for long. Your 2017 personal numerology for the year is a number of transformation and endings. Completion is a key feature of this period. Next year a new cycle will begin, so you should renew broken relations. It’s time to finish the nine-year cycle. In 2017 it’s time to say goodbye to everything old and outmoded. This concerns both business and private life. This applies to some people that only make you feel irritation, anxiety and discontent.